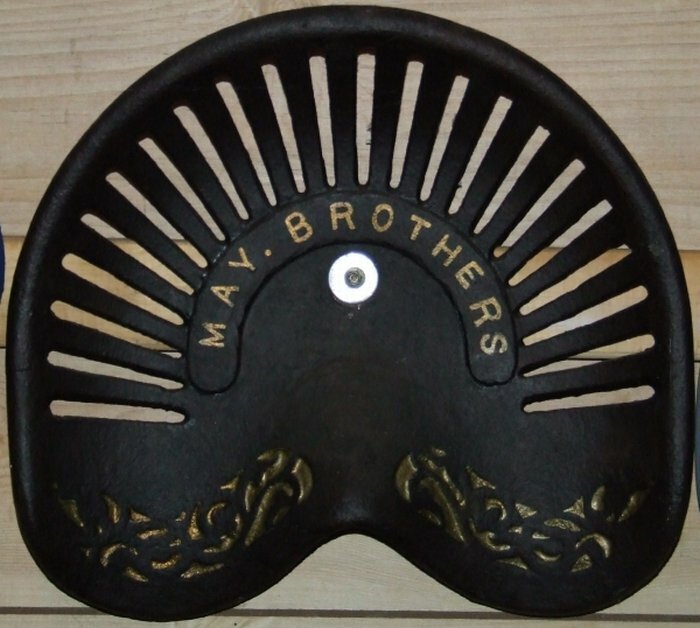 History note May Brothers & Co.
May Brothers & Co were established in 1885 by Frederick and Afred May in Gawler South Australia. 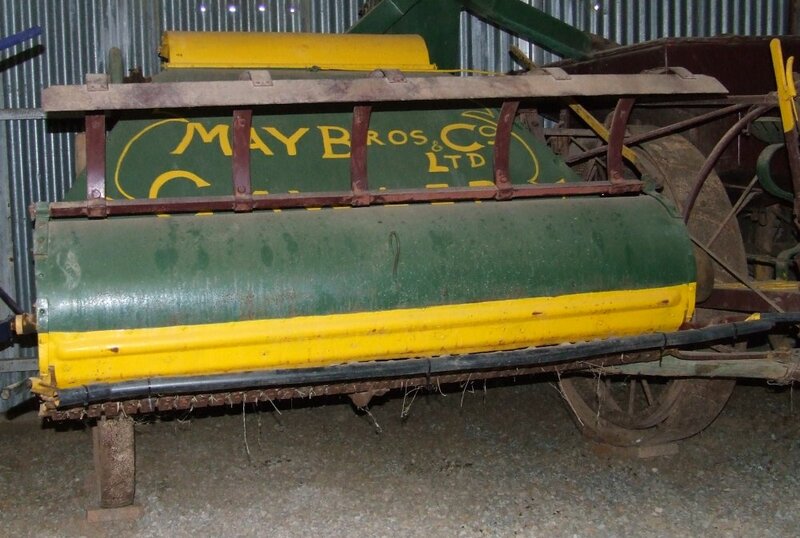 Frederick May was formerly a partner with James Martin & Co (between 1874 - 1885). 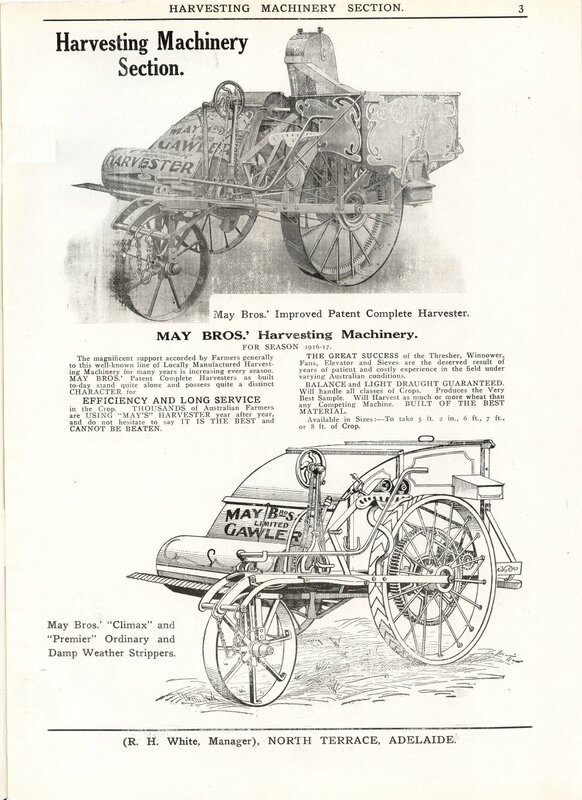 May Bros made a range of Agricultural Cultivating and Harvesting Implements and Machinery. 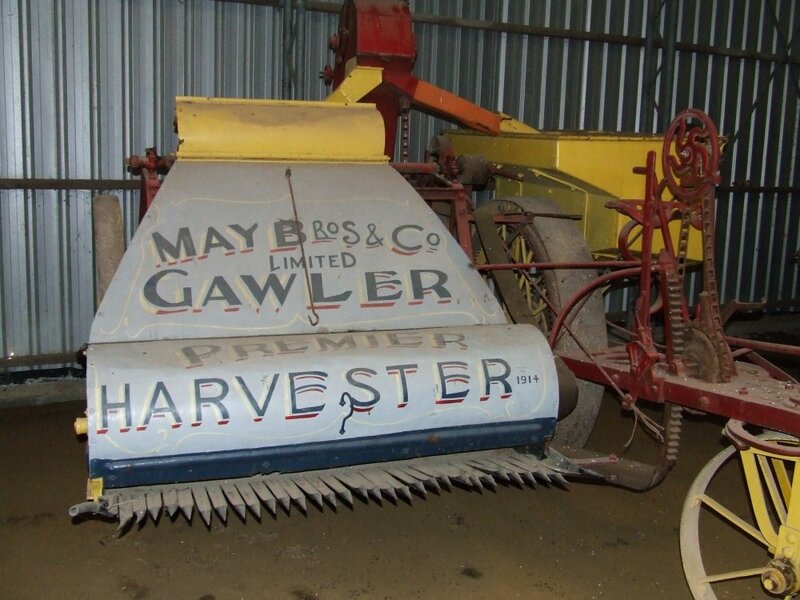 The company was closed down around 1934. 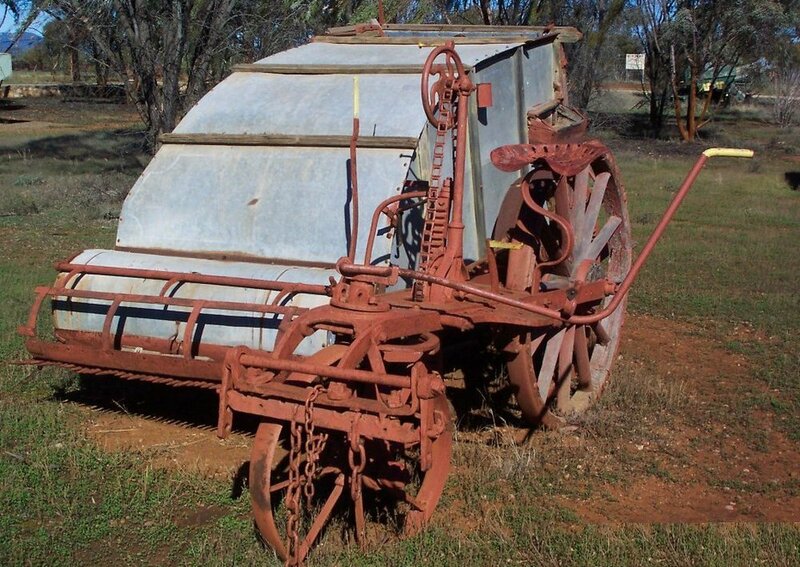 References: Margaret and Phillip Simpson - "Old farm Machinery in Australia a Field Guide & Source Book"
Spanners marked May Bros hard to find. 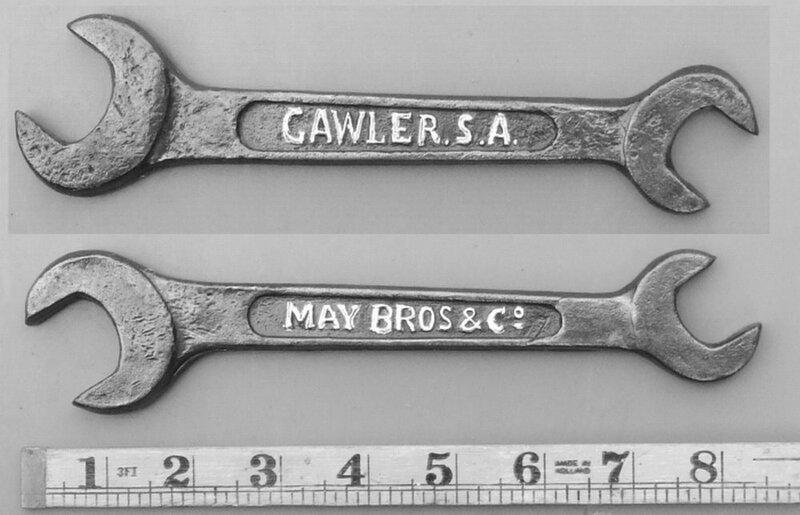 The two Malleable spanners pictured below were sourced in America where May Bros exported large numbers of their machines. 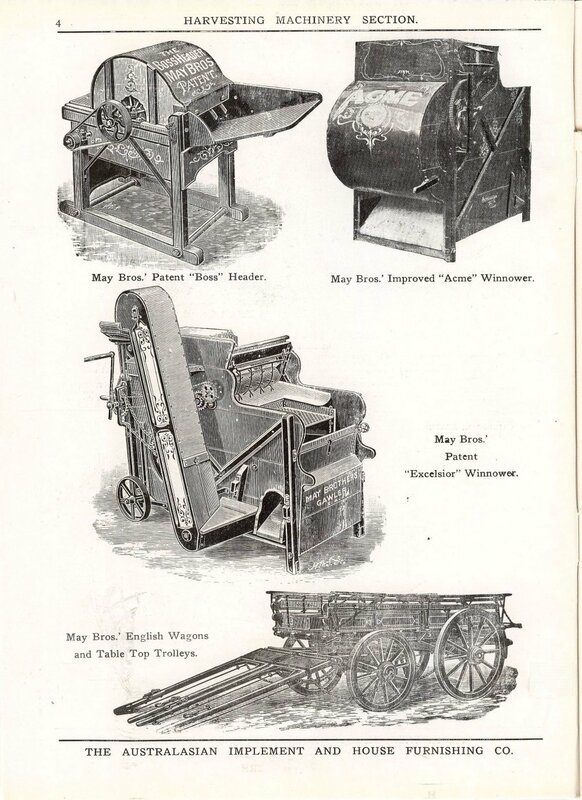 The three spanners pictured are the only types we know of - if you have others, or other May Bros items to share - please make contact on the link below. Thanks go to the various people and museums who made May Bros items available for these pictures. In particular, John Hawking & Daryl Symons. If any other people can supply information or pictures of May Bros - please make contact on the link below.